Last weekend a friend came to visit. 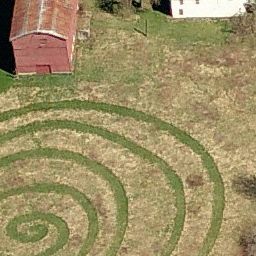 We reconnected by visiting an area where we once shared a home, and near there we walked an outdoor labyrinth on monastery grounds near our old home. While we sat on a bench waiting for another pair to complete their walk, first my friend found a beautiful red and white spotted feather from a bird (flicker?) that flew overhead; the bird then joined several others in the nearby trees. Then I looked to the North and watched an amazing, unusual being walk stealthily past: what appeared to me to be a coyote/wolf mix (or perhaps a stray Russian wolfhound or hybrid)! He turned his head to watch us as he continued along with his own quest. In Native American “power animal” symbology, sometimes a flicker (woodpecker) can mean a move/ relocation; a coyote/wolf hybrid could mean something that “helps you see your own mistake” (coyote) and “being a Pathfinder” (wolf). 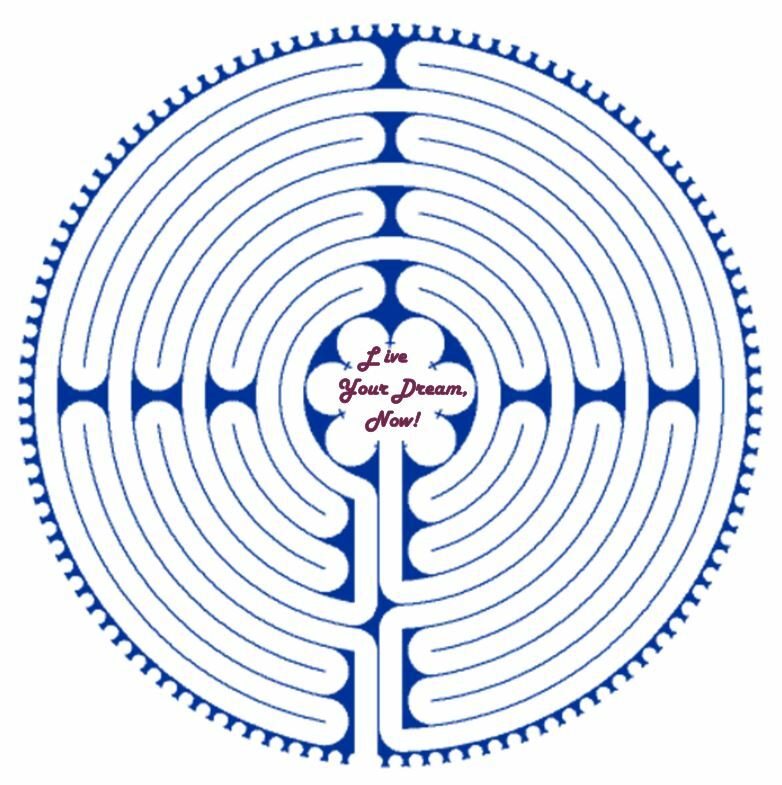 So then we walked the Labyrinth (a Chartres modelled rose path). The slow winding pathway is so liberating to the mind and heart; with every turn your contemplation deepens. At times when you seem very close to the Center you are actually far away, and when you feel most far away you are but around the bend to Home, the Center that represents Self-Realization or God-Awareness. At the Center of this labyrinth someone had created a heart shape made of small reddish rocks, and both my friend and I deposited something meaningful into the heart. Then we walked back out, for myself I would say feeling less encumbered than on the way in. As if this labyrinth walk were not enough, the very next day my friend took her son and his girlfriend back to that same labyrinth, and I took my dog Sophie on a walk at a Franciscan Retreat Center where—guess what?—I fairly stumbled upon yet another Chartres style outdoor Labyrinth! So again I was able to walk the Labyrinthine path. This is a great way to “center”; to examine and release your thoughts about any situation and symbolically to reconnect with your own inner divinity. At a time in my life when I am facing a difficult ordeal at the workplace, the Labyrinth helps me to “unwind” the complex weave. In the Labyrinth nothing external seems too heavy or important. The Labyrinth Path leads Home!